We like our live music in Liverpool and right now we are in the middle of the annual festival season so the city will be filled with the sound of music for the foreseeable future. 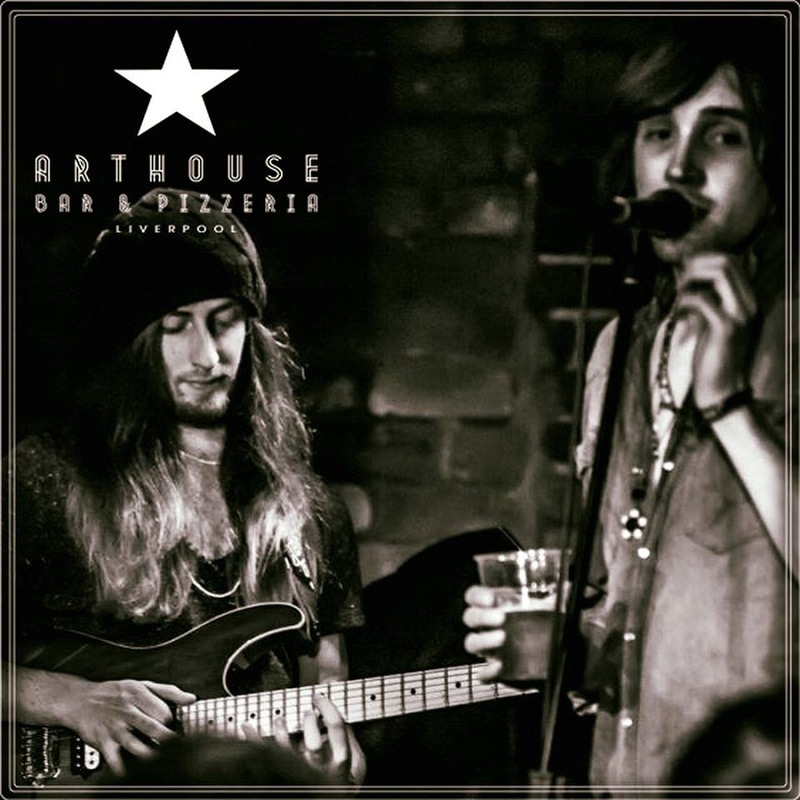 In between all the amazing Liverpool music festivals come to Arthouse Bar and Pizzeria and enjoy a selection of live music performances taking place throughout the week. Here’s a run through of the live music in Liverpool you can find at Arthouse Bar and Pizzeria. Welcome a selection of local and national artists to the stage at the beginning of every week in Arthouse. These are gifted musicians out to get their names known and their talents heard. Spice up the start to your week with a visit to Arthouse and enjoy some world class food and drinks accompanied by acoustic sounds of new and unheard music. On two special Thursday’s in the near future Arthouse will be hosting nine piece soul band “Soul Federation”. These talented individuals cover tracks from soul and Motown legends like Otis Redding and the Blues Brothers. 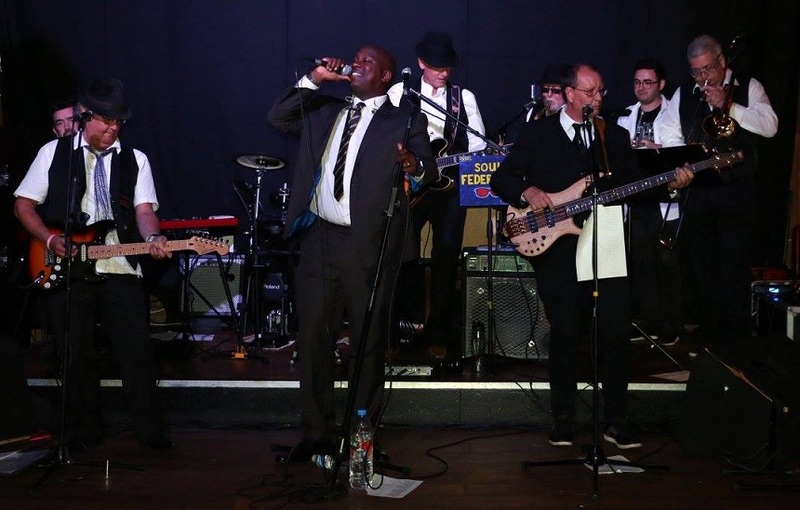 As well as gifted vocals the band members also come complete with an explosive instrumental backing provided by guitar, sax, trumpet, trombone and piano. 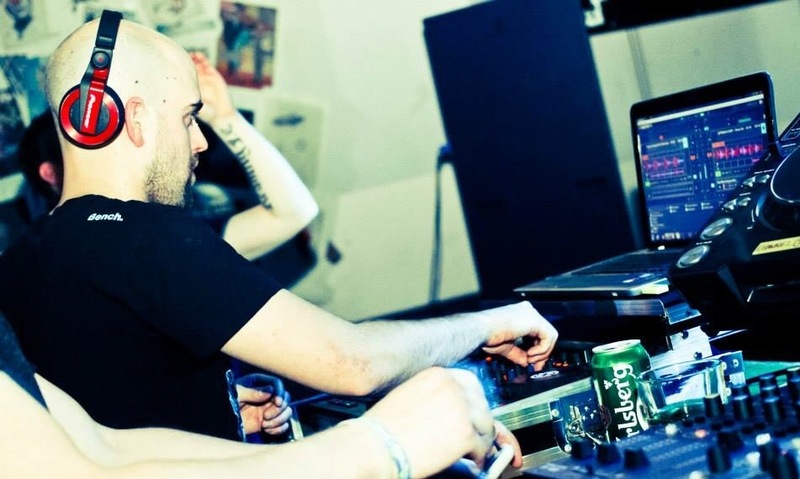 The fully rounded package of a Soulistic musical experience at Arthouse Bar and Pizzeria. As well as these fabulous acts visitors can enjoy delicious pizzas, gourmet hot dogs and two for £6 beers or two for £10 cocktails. Thank god it’s Friday because we get to watch Jackie Brown at Arthouse Bar and Pizzeria. This is a quality cover band performing funkier versions of those songs that always get you up on the dance floor. 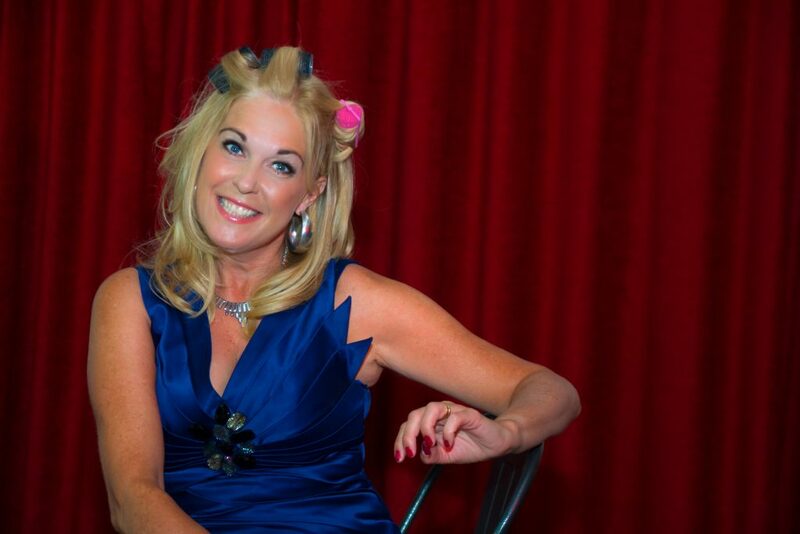 Jackie Brown members are made up of gifted musicians from the local area who all love music and performing live music in Liverpool for their audience. Our resident band will rock your socks off every Friday, so come along with your dancing shoes and be ready to party. Superb Liverpool lads giving live music in Liverpool a good name; The Robert Mather Band play their hearts out every Saturday afternoon at Arthouse putting on unforgettable performances. 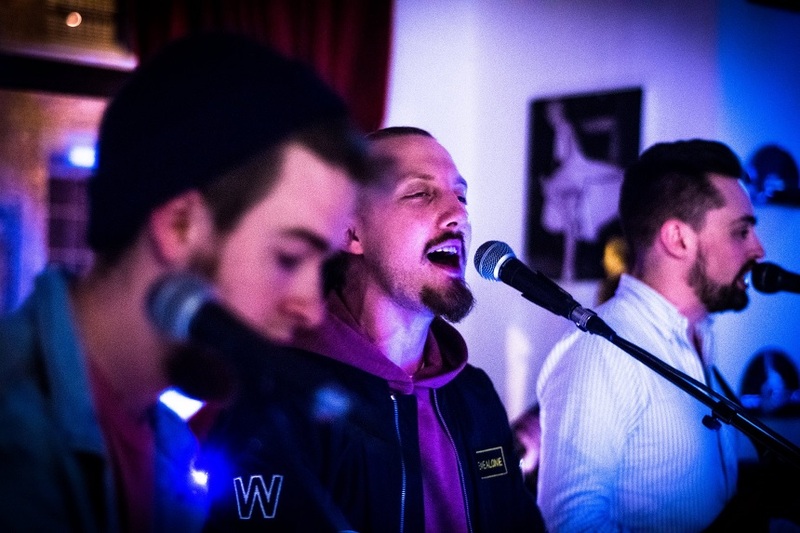 No matter what genre of music gets you into the groove they can nail it, pumping out funky soul sounds, retro pop and rock and roll tracks and even the odd offering of RnB. So if you’ve got a good sense of what makes you groove and an ever playing internal melody The Robert Mather Band is right up your street. 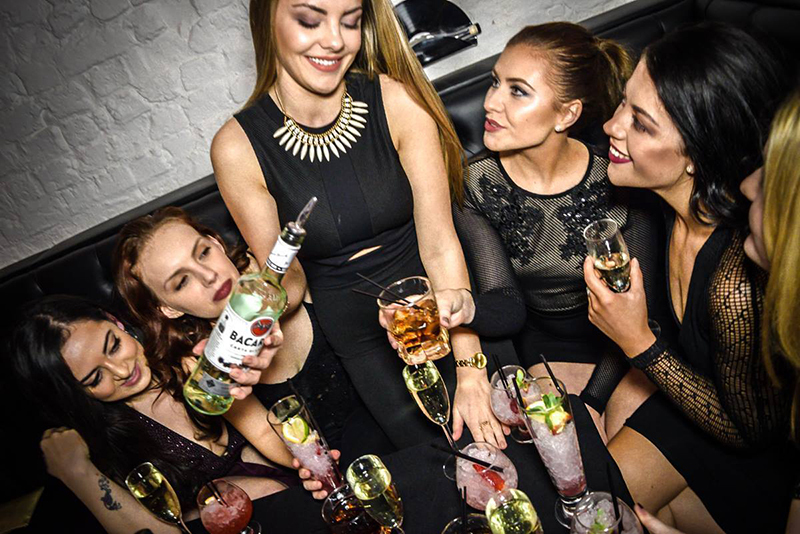 What’s more, when all is said and done you and your friends can stay and enjoy a quality cocktail or head out into the heart of Liverpool’s most popular nightlife district to enjoy the end of the night in style. A Sunday night in Liverpool is just as exciting as a Friday or Saturday. The clubs and bars open their doors to accommodate the staff from other venues who’ve had to pull the late shifts all weekend. 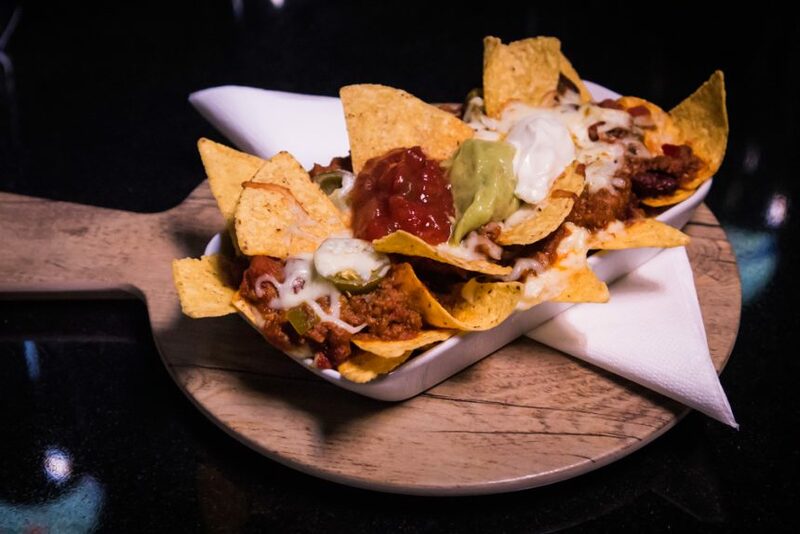 Therefore on a Sunday night, there’s an amazing atmosphere in the best bars and clubs around Seel Street and Arthouse Bar and Pizzeria certainly contributes towards that. A man who supplies the best live music in Liverpool, Joel Valentine, takes to the stage on a Sunday night to grace the audience with his own musical talents. 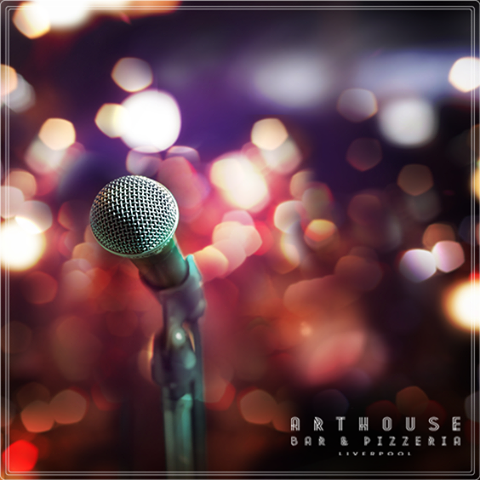 Join us and finish off your weekend in Liverpool in style with a quality acoustic sound track at Arthouse Bar and Pizzeria. 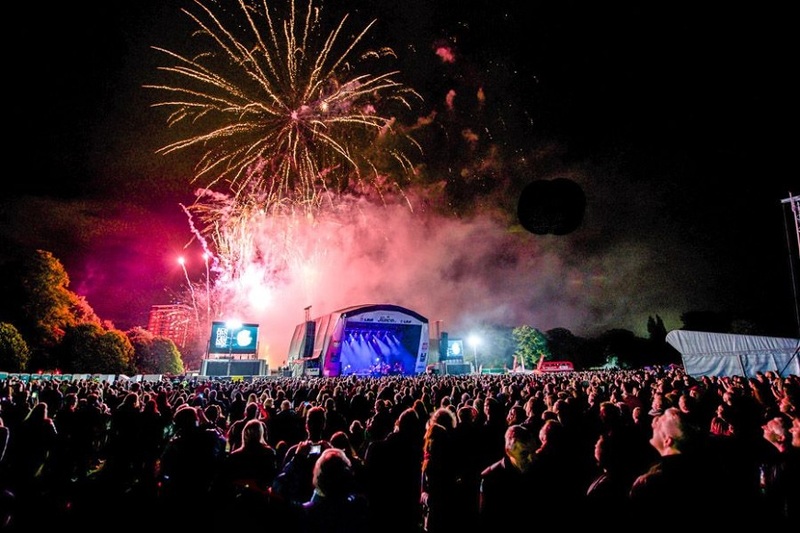 The city of Liverpool is an exciting place to be any time of year, but during the summer the city comes alive with music and festivals for people of all ages. 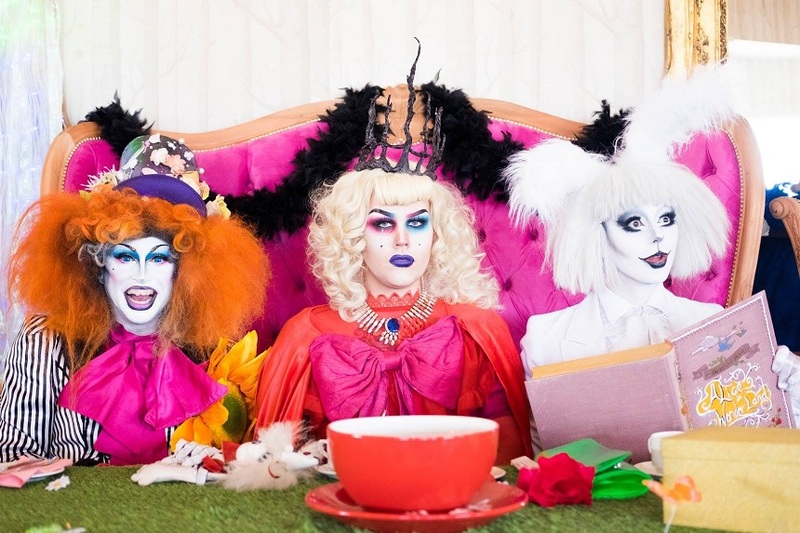 There are some amazing Liverpool events taking place in June and we’ve lined up a guide to some of the best right here for our guests. Make the most of your stay at Arthouse Hotel and see if there’s an event below that’s right up your street. Travelling the UK are a company celebrating the launch of a new naval overproof rum, Plantation OFTD. Makers Identity Drinks are visiting the top bars across the UK, to source out the best and most talented cocktail mixologists of the realm. 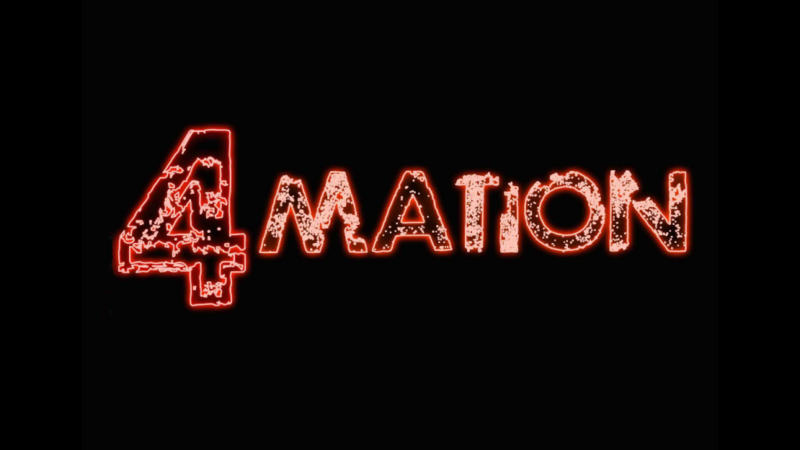 Contestants are challenged to create a classic Zombie and their own unique cocktail concoction using Plantation OFTD. Make your way to Maya to check out the action and perhaps be in with the chance to taste some professionally made Zombie’s or a new and delicious drink sensation made by the fair hands of those competing. Winners of the heat will be invited to London later in the year to compete against others from around the country. Celebrate the sunshine with a festival that promotes positivity and cultural appreciation at the Positive Vibration Festival of Reggae this June at Constellations. This wonderful family friendly event welcomes visitors to sample the delights of Carribean food and drink, as well as arts and crafts workshops in an effort educate people on the beauty of Jamaican and Carribean culture. Live reggae music and a host of respected DJ’s will provide the soundtrack for the weekend so you can dance the days away, whilst admiring collections of artwork from The Art of Reggae Exhibition or brushing up on your Capoeira skills. Get ready for one of the most exciting of Liverpool events taking place in June as the streets of Liverpool will soon be filled with crowds of Cosplayers. All of whom will be dressed to impress at the Liverpool Anime and Gaming Comic-Con and you could be among them. 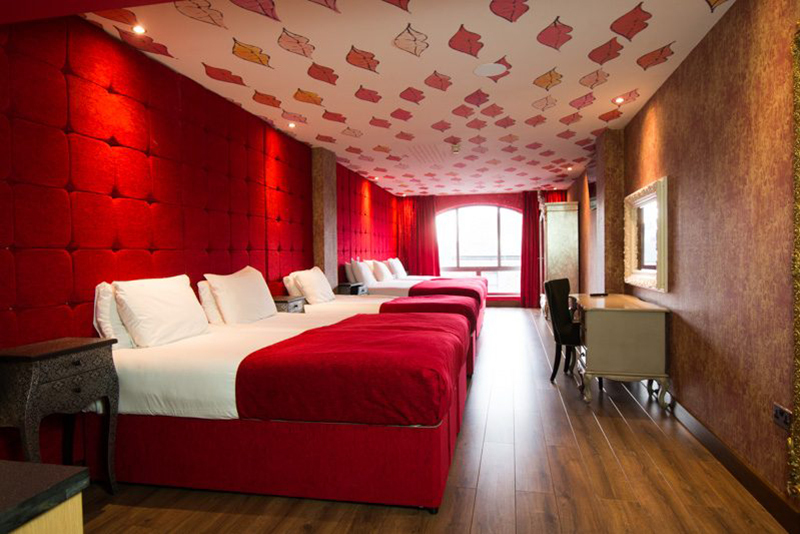 Arthouse Hotel is within a short walking distance of this year’s chosen venue and your and your friends can stay and get ready together in your stunning movie themed hotel room. Dress up in your favourite Amine, gaming or comic character attire and enter Sunday’s Cosplay Masquerade contest with a chance of winning £100. Join in workshops, comic talks and meet your favourite Anime and comic artists in attendance selling individual pieces of their work. When the convention is over head out on the town and continue the fun with all your new Cosplay friends. 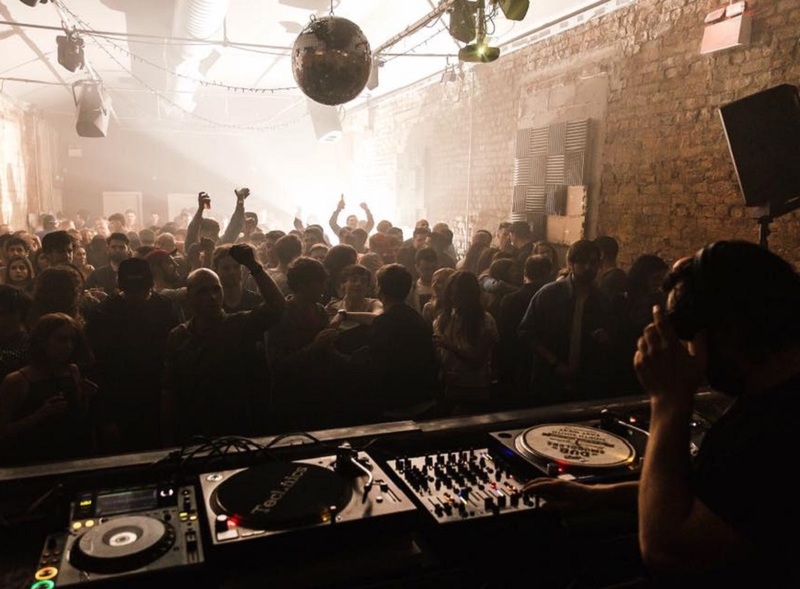 Bringing together the greatest musical talent in the city for an amazing cause the Sound of Music has organised one amazing and unmissable event at Buyers Club this June which invites attendees to witness a gathering of the finest DJ’s performing in aid of South Liverpool Foodbank. Either pay your £5 admittance fee or bring along £5 worth of non-perishable groceries to support the cause. This event allows you to be responsible for your local social economy whilst enjoying an unforgettable music experience in one of Liverpool’ s leading social venues. Controversial comic talent, Russell Brand will be gracing Liverpool with his presence in an extra added tour date to his latest stand-up show. Bringing to audiences his views on parenthood troubles and shining some light on the concerns we all have as new mothers and fathers. In his show, Russell will be unravelling the current complexities of social media influence, politics, life and death as he enters into a new stage of his own life as a father. 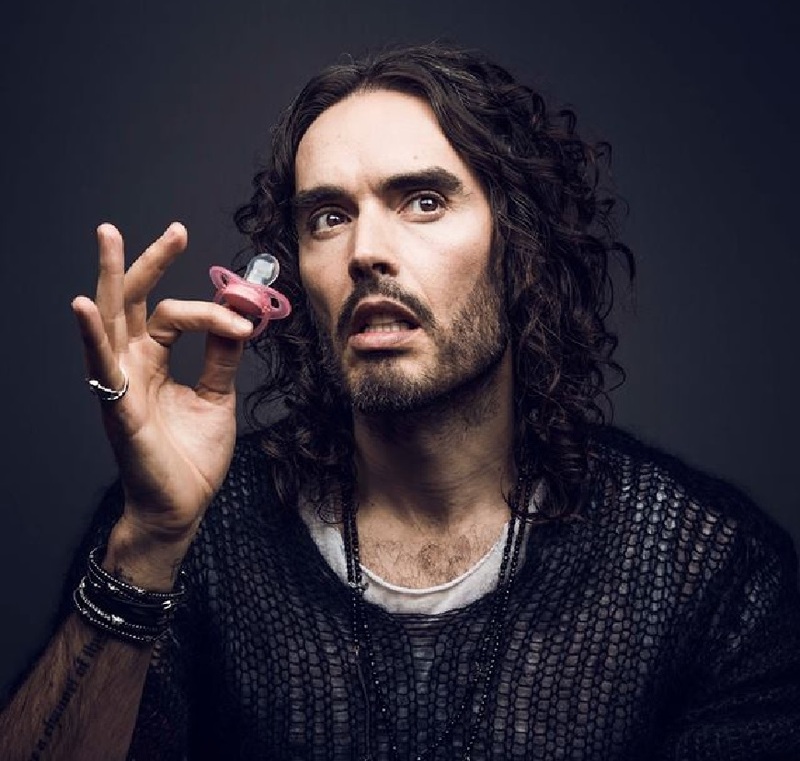 Be prepared to laugh, gasp and maybe even cry as the comical genius of Russell Brand takes to the stage at the Echo Arena. With so many amazing Liverpool events taking place in June Arthouse Hotel is the ideal Liverpool group accommodation to enjoy them from. 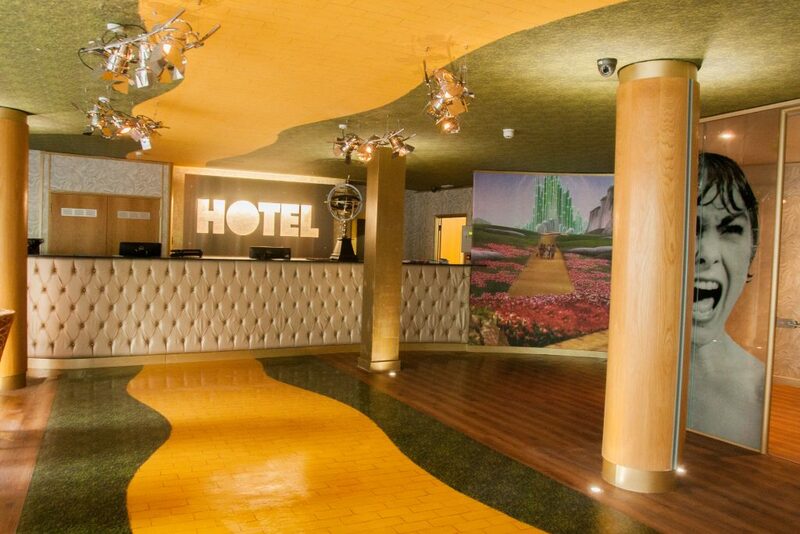 Book your stay in one of our incredible movie themed hotel rooms for your visit to any of these spectacular Liverpool events and make this summer one to remember at Arthouse Hotel. Call 0151 601 8801 or email info@signatureliving.co.uk to book or ask for further details. For musicians who are just starting out, have new material or just want to get themselves heard, open mic nights are the perfect opportunity. Not only do you get to perform on a stage in front of a guaranteed audience, you are introduced to the local music scene and have the chance to make a name for yourself. Liverpool is a city that is alive with music and there’s no doubt about it, the pool of talent in this city runs deep and shows no sign of slowing down. Every Thursday at the Arthouse Hotel we celebrate this wealth of homegrown talent with our famous open mic nights hosted by Joel Valentine. Join us for an evening of great music as unknown musicians from across Liverpool gather together to perform an eclectic mix of genres, covers and their own work. Who knows you could be a part of the first audience to witness a new star being born! 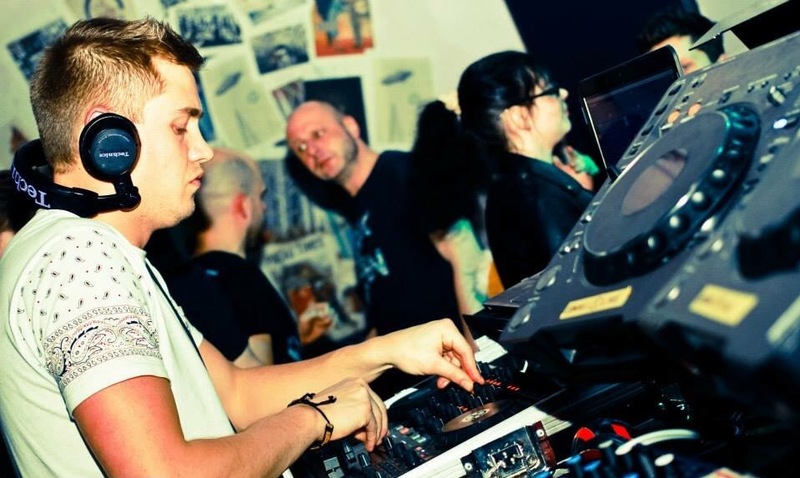 Fast becoming the go-to place on the Liverpool nightlife scene, the Arthouse Bar and Pizzeria is a unique venue at the heart of the city centre and the perfect environment to listen to some great new music. 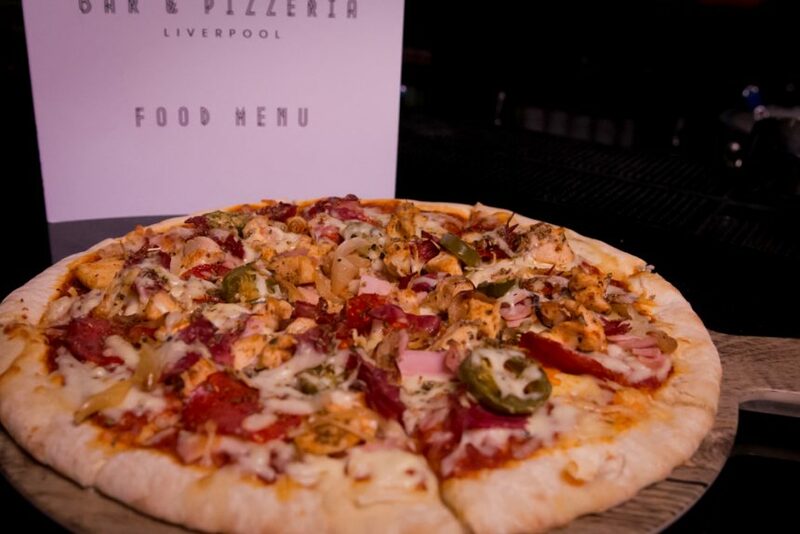 So sit back and take in some of the best musicians in Liverpool whilst you tuck into some tasty pizzas and hotdogs, peruse our movie-inspired cocktail list or choose from an extensive quirky drinks list. Why not book a stay at the Arthouse Hotel? If you’re tired after a long night of brilliant music, why not book out a room at the Arthouse Hotel, just next door to the bar. Themed around classic films and stars of the silver screen, The Arthouse Hotel is a truly magical place to rest your head. Find yourself transported into the wonderful world of movies, with amazing themed rooms and suites that feature double jacuzzi baths, large flat screen TV’s and Bluetooth multimedia sound systems to keep the music coming all night long. 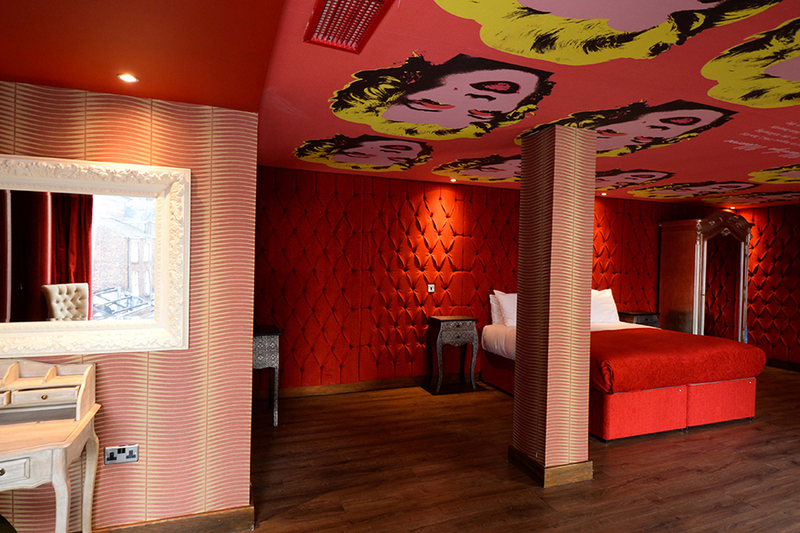 Whether you fancy a trip down the Yellow Brick Road, a visit to the wacky world of Rocky Horror or stick with the music theme in the John Lennon suite, the Arthouse has something for everyone. 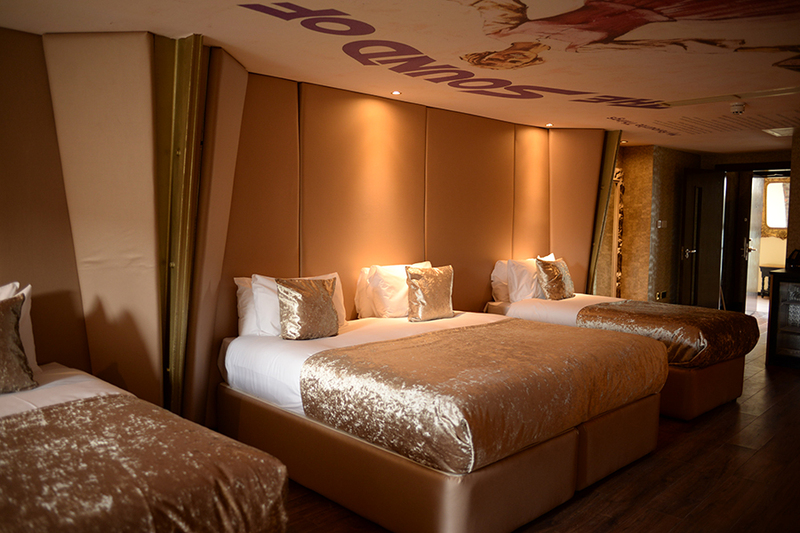 Call and book your stay at Arthouse Hotel on 0151 601 8801 or email info@signatureliving.co.uk for more information. It’s Friday and we cannot wait until 17:00om rolls around and the start to another epic bank holiday weekend in Liverpool begins. For our guests at Arthouse Hotel, you guys have struck gold. 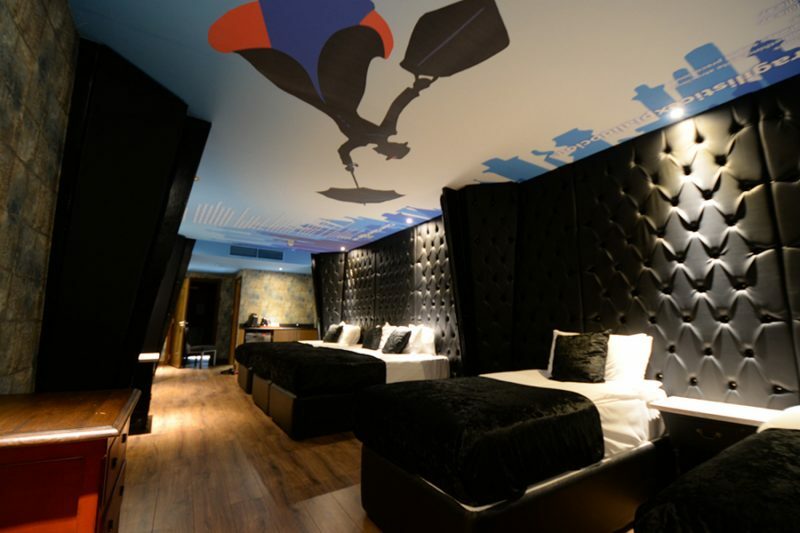 Not only are you staying in the city’s newest movie-themed luxury hotel, you are also in the heart of the cities favourite nightlife district. Here’s our guide on where to go in and around Seel Street over bank holiday weekend in Liverpool starting at the top and working our way down. One of Liverpool’s favourite places to drink (even for doggies), is Salt Dog Slims. The menus consist of juicy hotdogs and a neverending selection of cask and bottled beers. 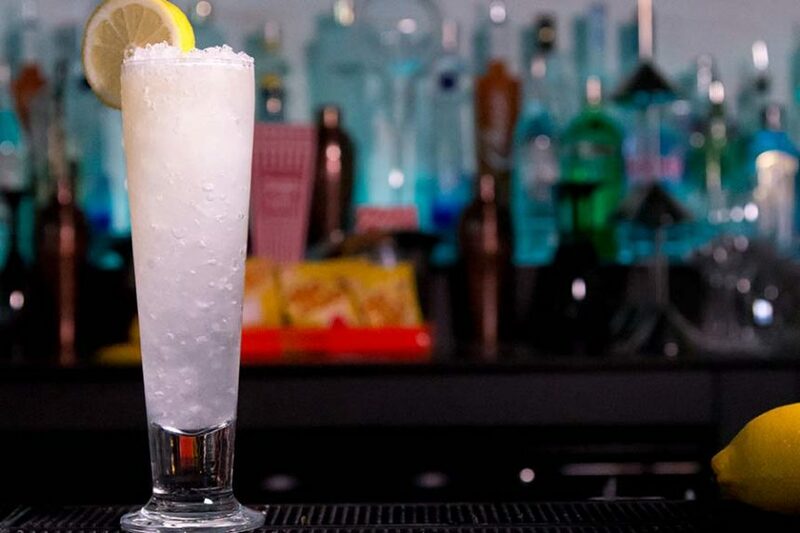 For their wild behind bar antics, inventive cocktail list and inviting trendy atmosphere Salt Dog Slims is a great place to spend a night this bank holiday weekend in Liverpool. 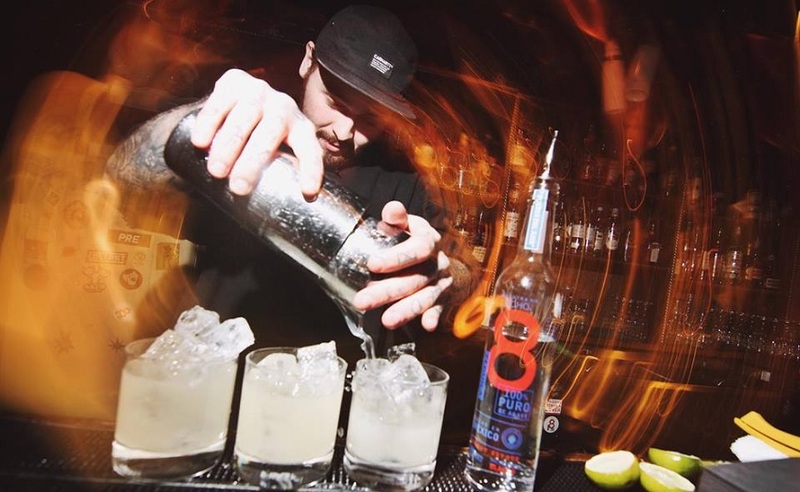 A perfect venue for the selfie takers among you, Blind Tiger is the picture-perfect bar on Seel Street to make your Instagram page pop. The interior is retro/vintage Japanese including shabby chic furnishings and black and white portraits of Japanese ladies. The small courtyard, with its Geisha wall mural, twinkling lights and rustic reconditioned seating is unforgettable. Matching the stunning décor is a food and drink menu full of exotic dim sum delicacies and a delicious variety of drinks. A night and Blind Tiger will make your bank holiday memories of Liverpool last, and if not you’ll have some stunning photos to prove it happened. 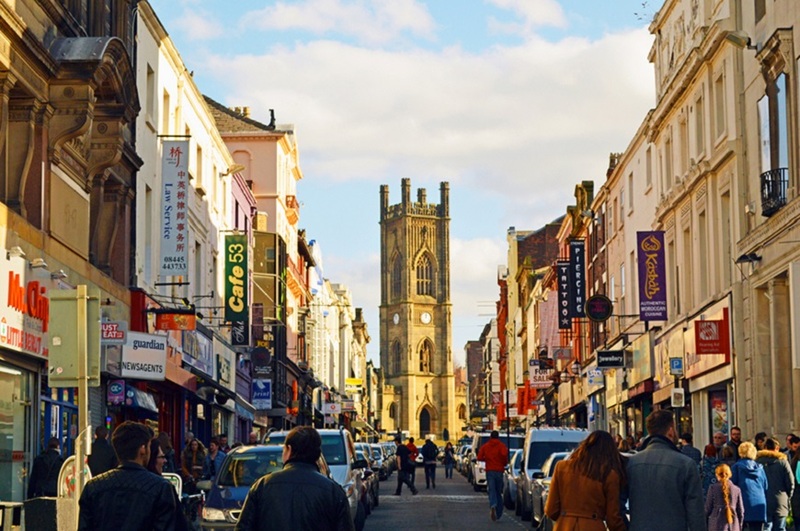 Just over the road from Arthouse Hotel is a popular nightlife hangout among the residents of Liverpool. Heebie Jeebies trendy split level bar has a chic atmosphere that is accentuated by the eclectic choice of live music and special DJ nights hosted each week. Visitors can enjoy the kitsch decor, drink from a selection of craft bottled beers or premium spirits and cocktails. What’s more, the open central courtyard allows you to enjoy the stars and night and some late afternoon sunshine during the day. Farm from giving anyone the Heebie Jeebies this nightlife venue will leave you chilled laid back and ready to take on the night ahead. 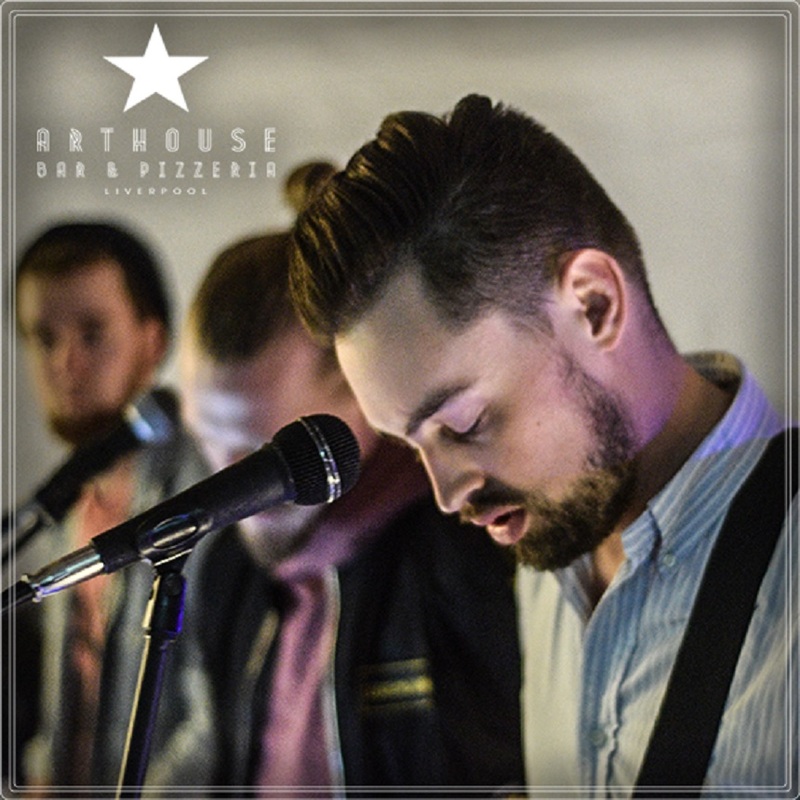 Fast becoming the go-to place for a spot of live music accompanied by tasty food and drinks is Arthouse. This bank holiday weekend in Liverpool the bar located in your very own movie themed hotel will be hosting their resident band Jackie Brown and welcoming back to the decks DJ Dave Bicko. 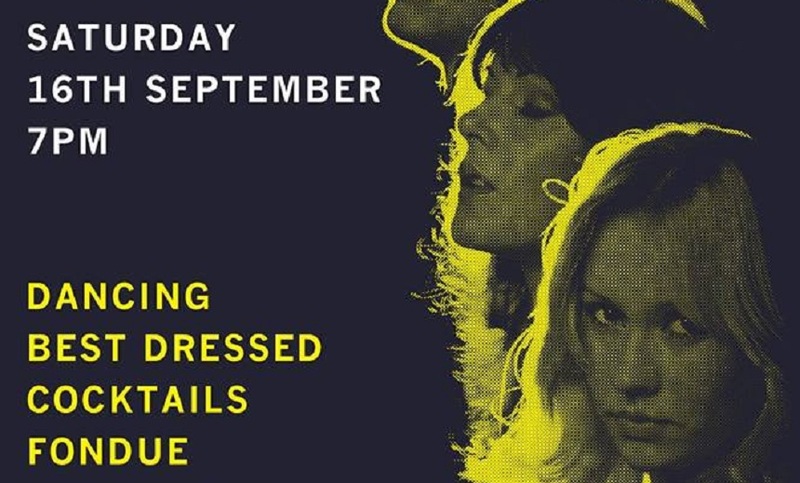 If you are spending your bank holiday weekend in Liverpool at Arthouse Hotel a night at Arthouse Bar will be right up your street…or just down the stairs. 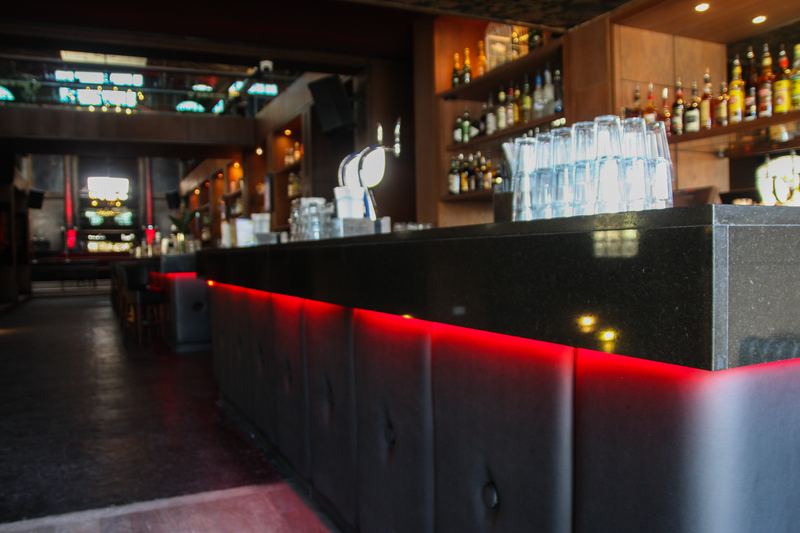 A place of peace, love and hospitality, Aloha bar perfectly capture the spirit of its name. 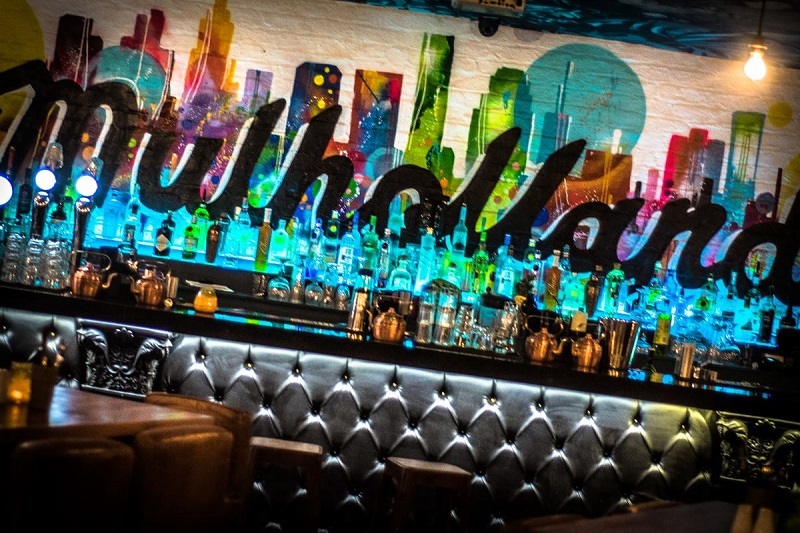 In the midst of Liverpool’s thriving city, Aloha bar provides its visitors with a tiki-style bar that’s as exotic as it is exciting. So, if you can’t afford to jet off to sandy shores and are spending this bank holiday weekend in Liverpool just pay a visit to Aloha instead for a night spent in a tropical heaven. 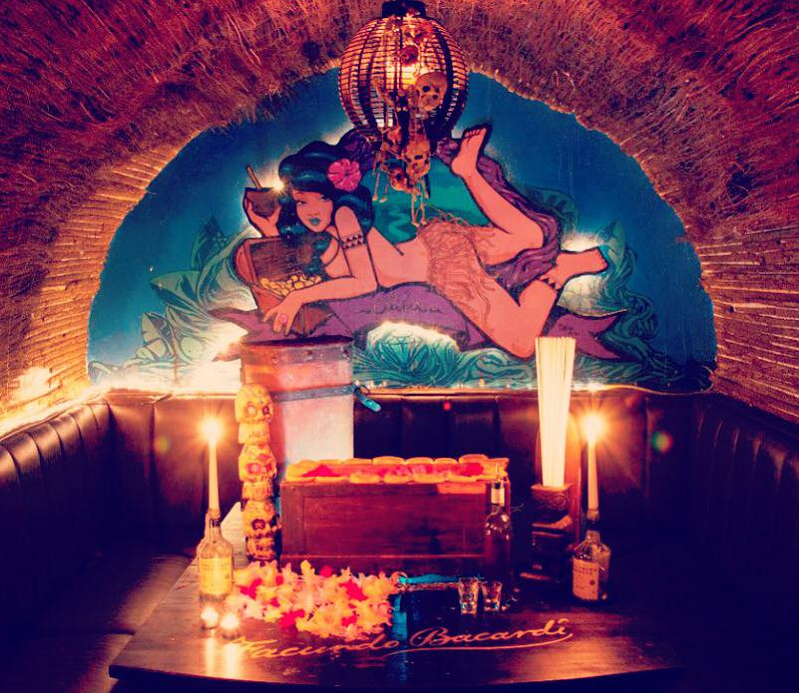 The shining jewel of Liverpool’s amazing nightlife is Alma de Cuba. 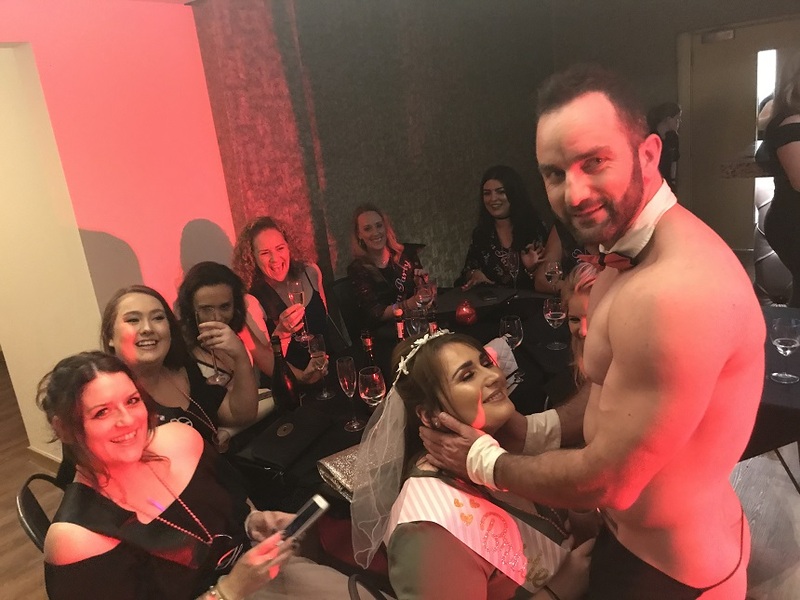 The Sambacentric centre of the Ropewalks district hosts amazing party nights that end in a shower of petals and shimmying sequin-clad dancers. With a tantalising drinks menu and a playful blend of Latin and dance music, Alma de Cuba is like visiting the shores of South America…if just for one night. A place that sites itself as the pioneer of creative drinking, The Peacock is an amazing Liverpool bar that boasts a fun and bustling atmosphere on most days of the week. During the weekend The Peacock is filled to its feathery brim with folks from across the city and the UK. The glass-fronted interior spills into a quaint outdoor courtyard on St Peter’s Square and the best part is all this is less than two minutes’ walk from Arthouse Hotel. Something for everyone at The Peacock. 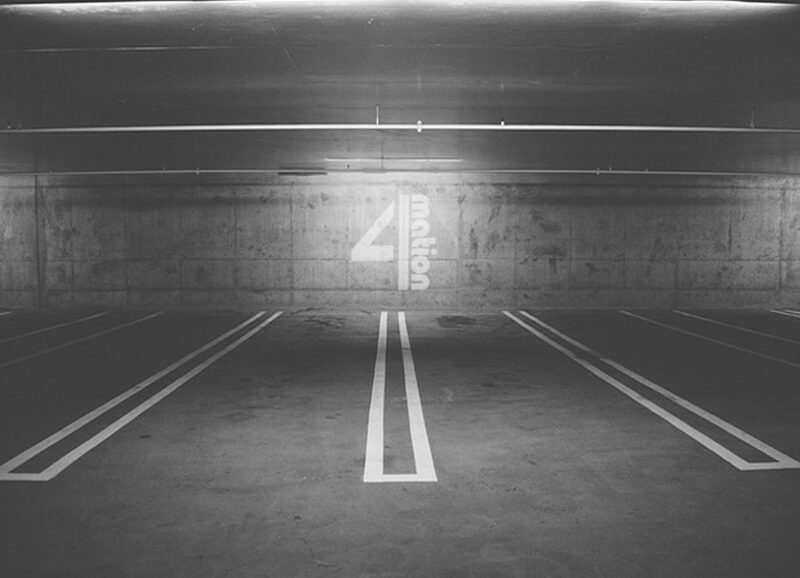 Whilst the upper floor plays an eclectic mix of new and classic house, downstairs has a more laidback vibe with a more mainstream soundtrack. Not quite on Seel Street but defiantly a part of the trendy location is The Merchant. 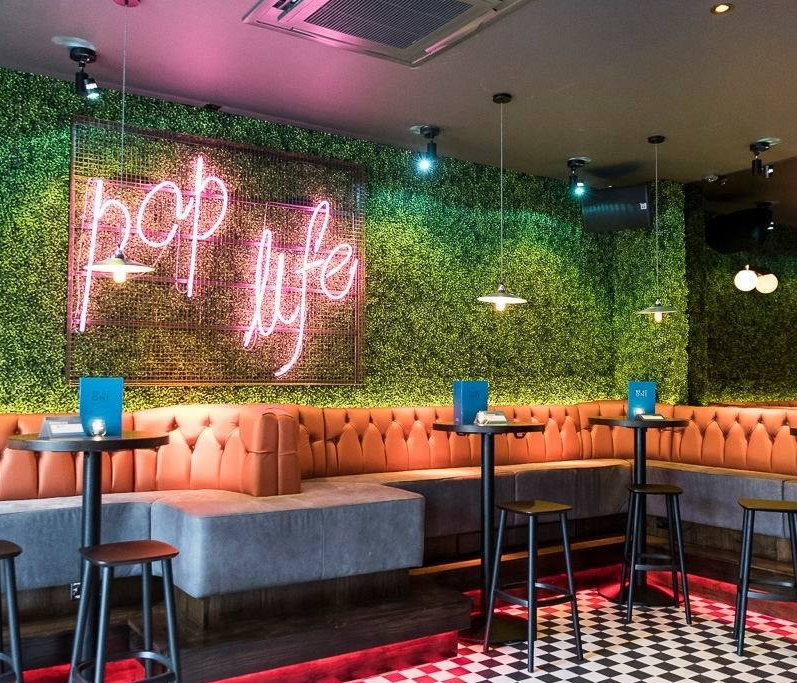 A bar in Liverpool that can cater to the most laid back evening on a weekday and the wildest of party nights at the weekend. Simply head to the very bottom of Seel Street and the bright lights of The Merchant will be beckoning you in. 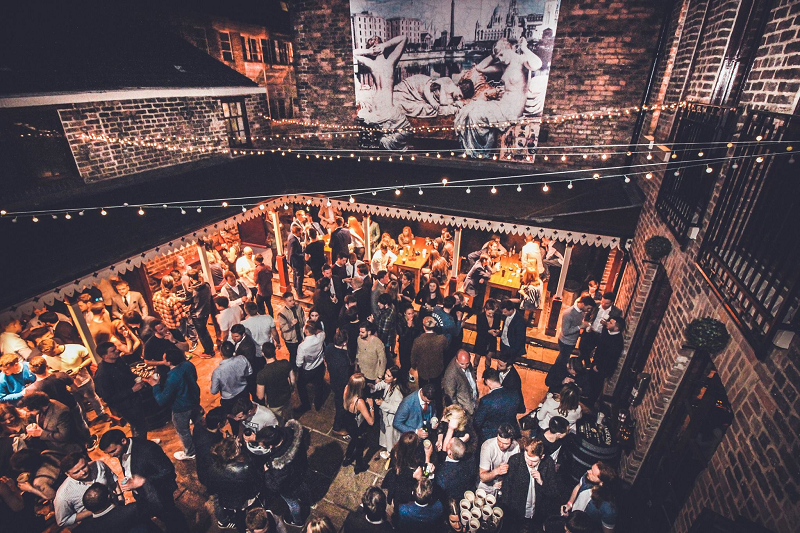 The Merchant has an inviting atmosphere, a funky décor and an amazing outdoor space that’s fun and quirky and ideal for a bank holiday weekend in Liverpool to remember. 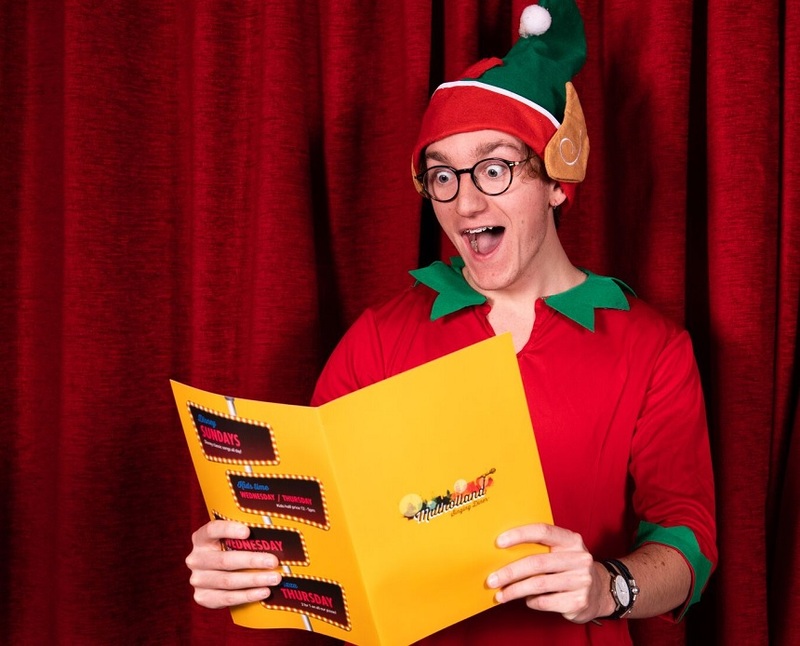 They say the best things come in small packages and with Santa Chupitos, they are right this time. This charming little Liverpool bar is renowned for creating mouth-watering drinks and for providing visitors a great night out they’ll never forget. Because the space is small you’ll find yourself sharing a conversation with strangers before you know it you’ll have a gang of new best friends. Anything is possible at Santa Chupitos. 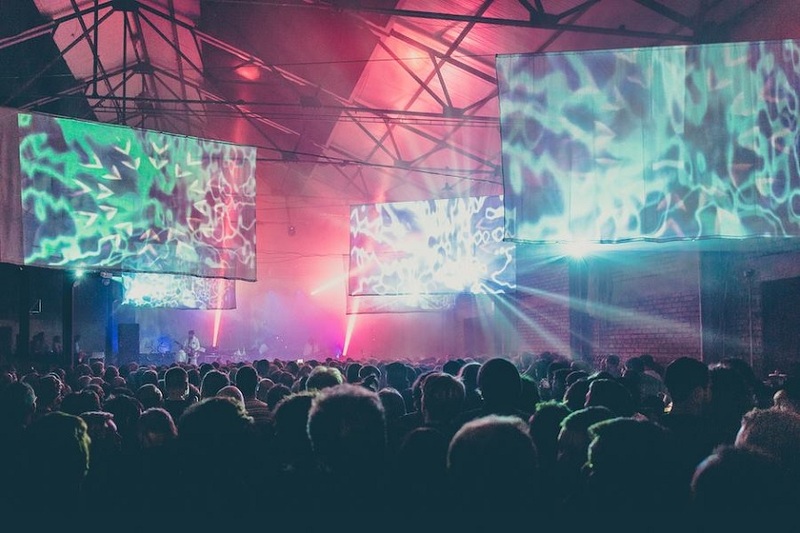 All that remains of Liverpool superclub, Kazimier, is a city centre urban botanical. 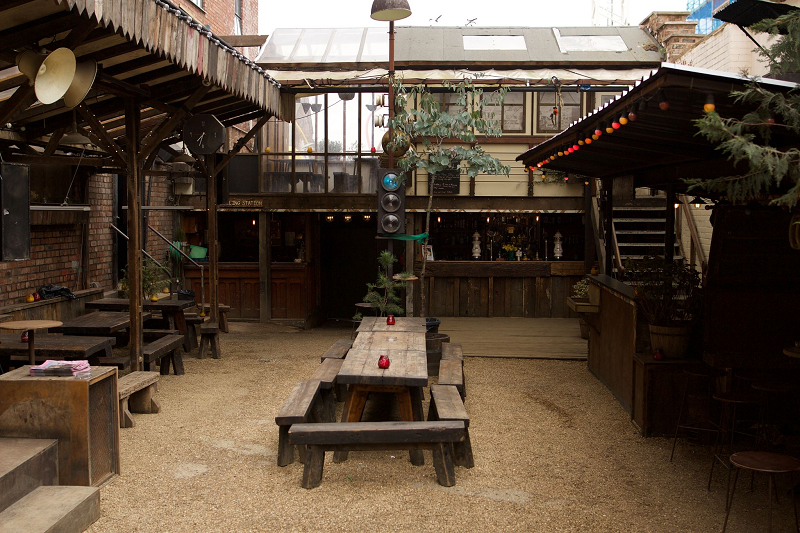 Kazimier Gardens is built around a gritty gravel dancefloor, serving drinks that are unheard of and providing a delightful menu that is cooked on an open grill. 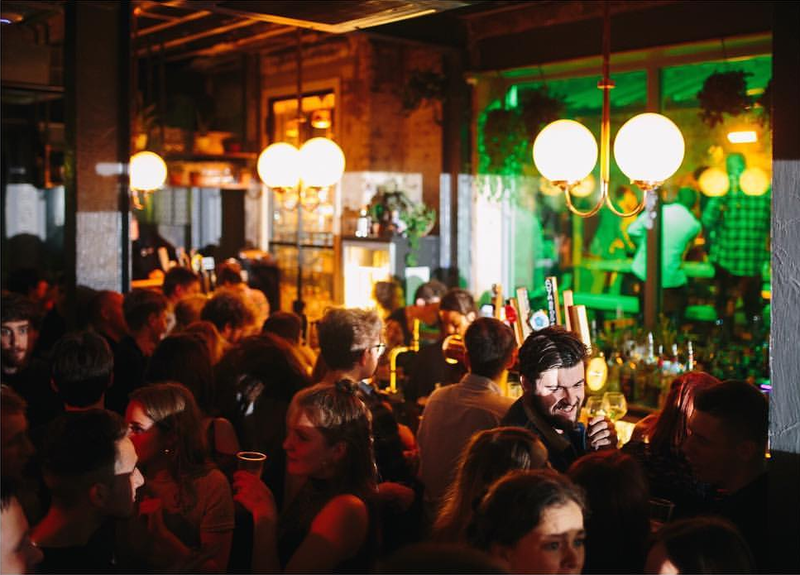 The venue is a mishmash of upcycled furniture that has been given a new lease of life as part of Liverpool’s most exciting outdoor nightlife venue. An amazing lace to create memories of Liverpool that last a lifetime and just down the road from Arthouse Hotel. This lively little number has appeared at the lower end of Seel Street and could easily be passed by if it weren’t for what lay beyond the clandestine entrance. Cue neon lights, and a funky bright décor, a well-stocked bar and a cocktail menu that would take even the most hardened party goer weeks to get through. 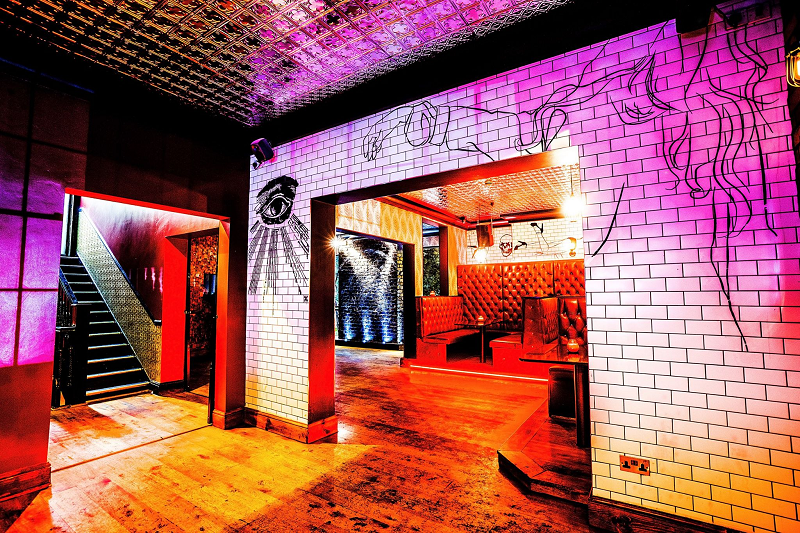 This chic and stylish venue has made itself right at home among Liverpool’s most popular nightlife venues, becoming one of the top ones itself. This bank holiday weekend in Liverpool come Be at One with yourself and others in Be at One. And there you have it, all the best places to have an unforgettable bank holiday weekend in Liverpool and all of them on or near Seel Street. 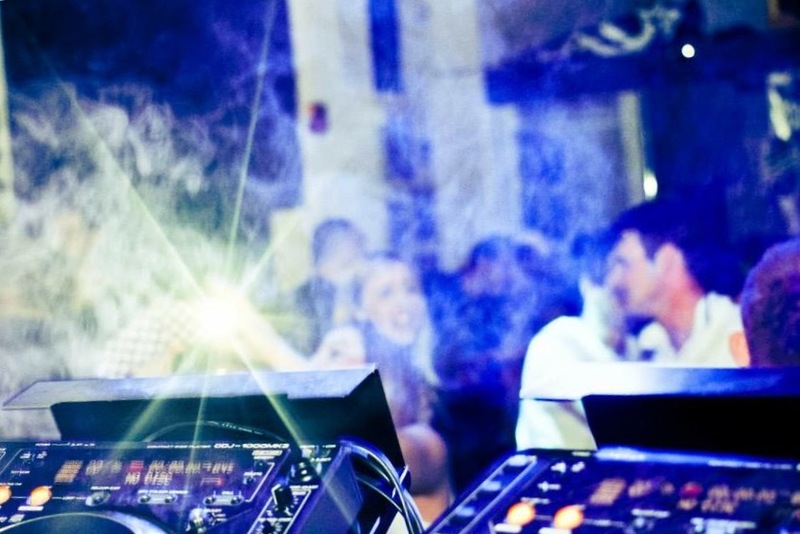 Mere moments from your hotel door, the best city centre nightlife can be easily accessed. No need for sore feet, no excuse for losing friends along the way. 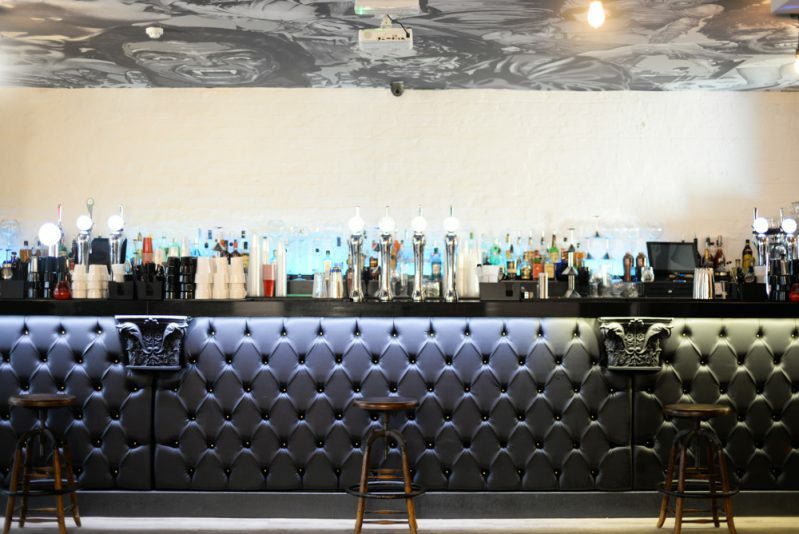 From Arthouse Hotel you and your party can experience the best bits of Liverpool’s renowned nightlife within minutes of your amazing movie themed Liverpool accommodation, Arthouse. Call and book your stay today on 0151 601 8801 or email us for further information about the amazing events coming up in Liverpool at info@signatureliving.co.uk. Liverpool is a city known well for producing amazing musical talent and for having the most dynamic nightlife scene in the UK. 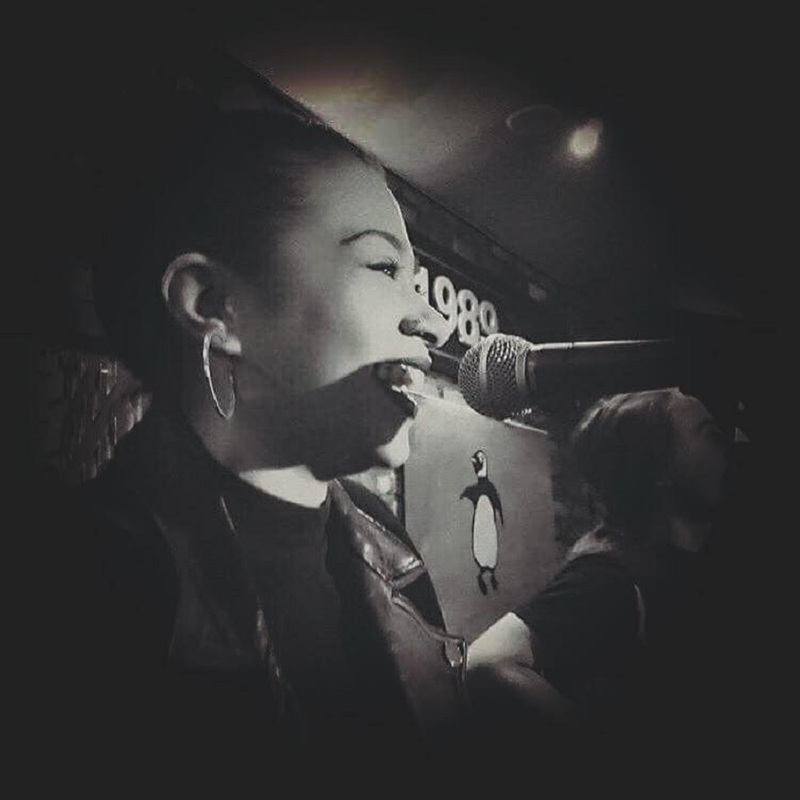 With this in mind, Arthouse Bar and Pizzeria have crafted some amazing live music nights in Liverpool and superb drinks packages that make sure you can experience the essence of what makes a great night out in Liverpool. 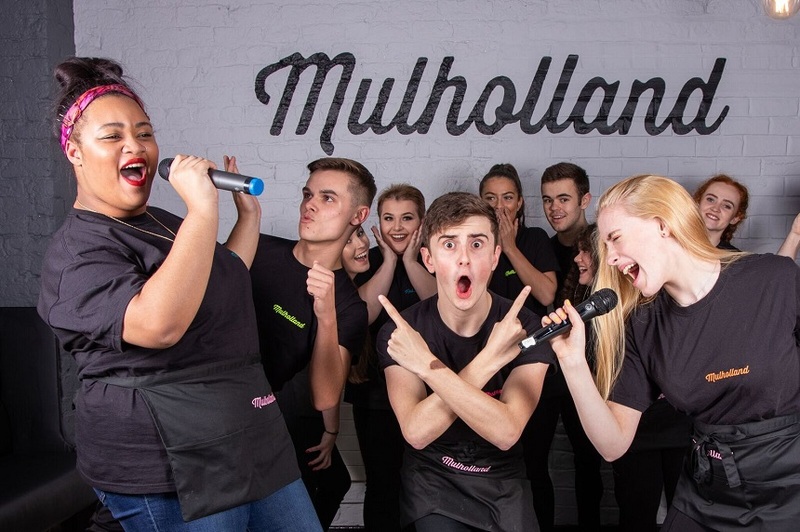 The pool of talent in Liverpool runs deep because the musical heritage of the city continuously inspires the younger generation to try and become the next big thing. At Arthouse Bar and Pizzeria, every Thursday there’s a chance to stumble upon an untapped source of pure Liverpudlian musical genius. Join us as unknown musicians from across Liverpool gather together to perform an eclectic mix of genres, covers and their own work. 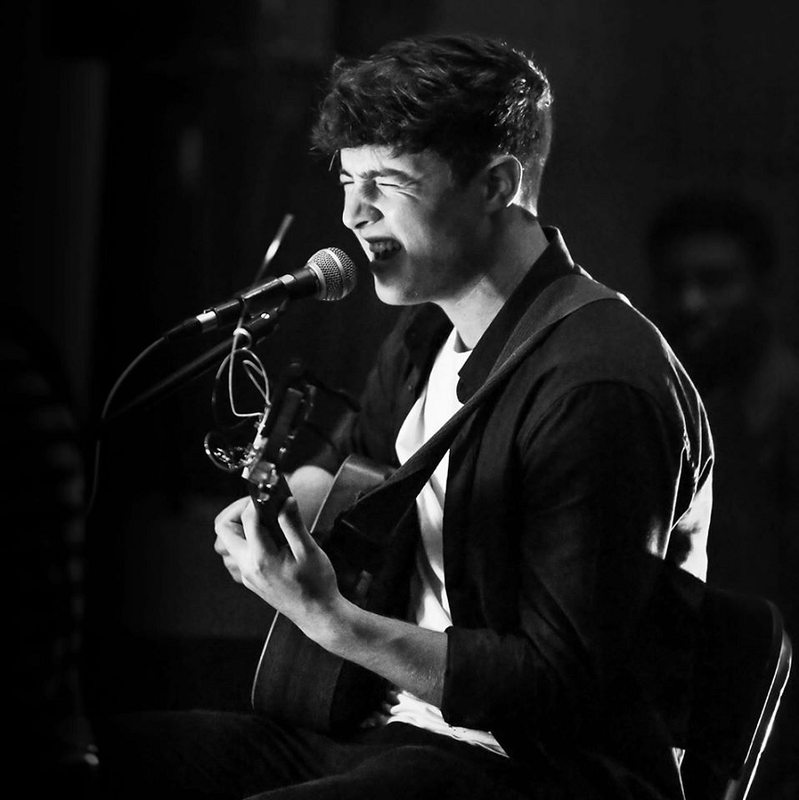 Who knows you could be a part of the first audience to witness a new star being born. 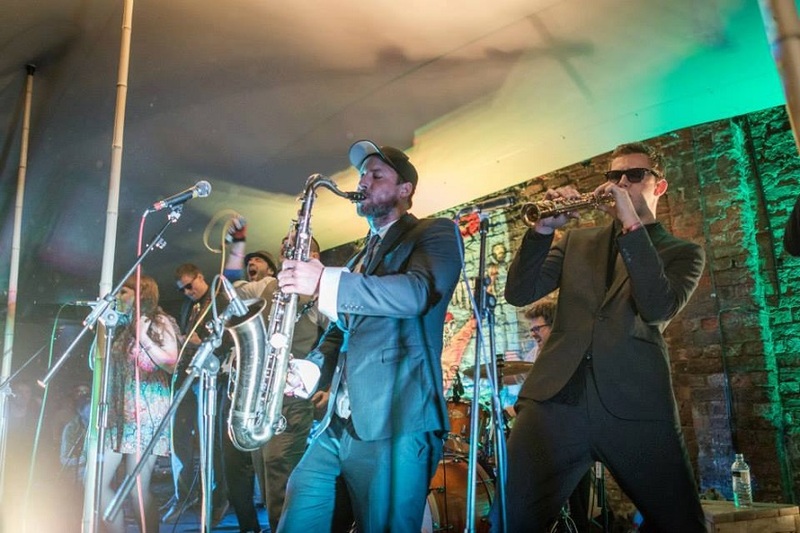 Start this bank holiday weekend off in style at Arthouse Bar and Pizzeria and our resident band Jackie Brown playing their usual funky set of tunes to get you ready for an awesome long weekend ahead. Jackie Brown’s set in Arthouse Ba and Pizzeria will become THE place to spend every Friday night in Liverpool from here on in. Come to Arthouse Bar and Pizzeria on Saturday night to get schooled in the sounds of house, funk, R&B and everything that made the nineties a great decade to be alive. 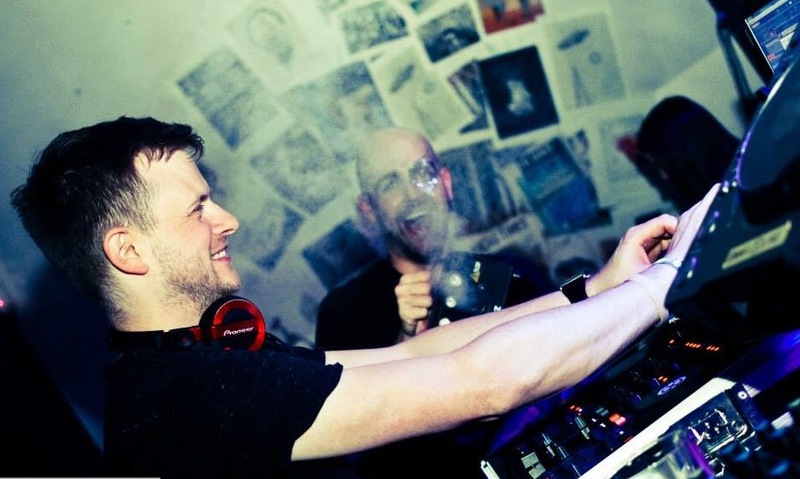 Enjoy yourselves as DJ Dave Bicko takes to the decks to provide the soundtrack to your weekend in the most stylish movie themed bar in Liverpool. 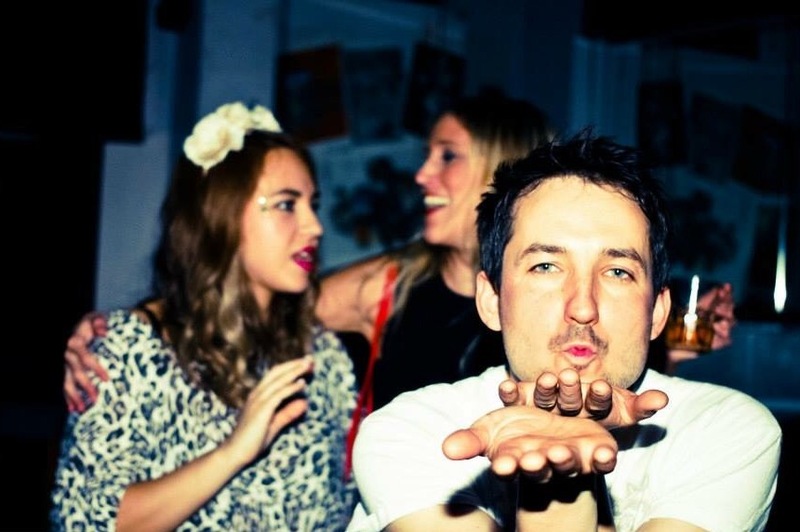 Dance, drink, eat and play at Arthouse this and every Saturday with DJ Dave Bicko. 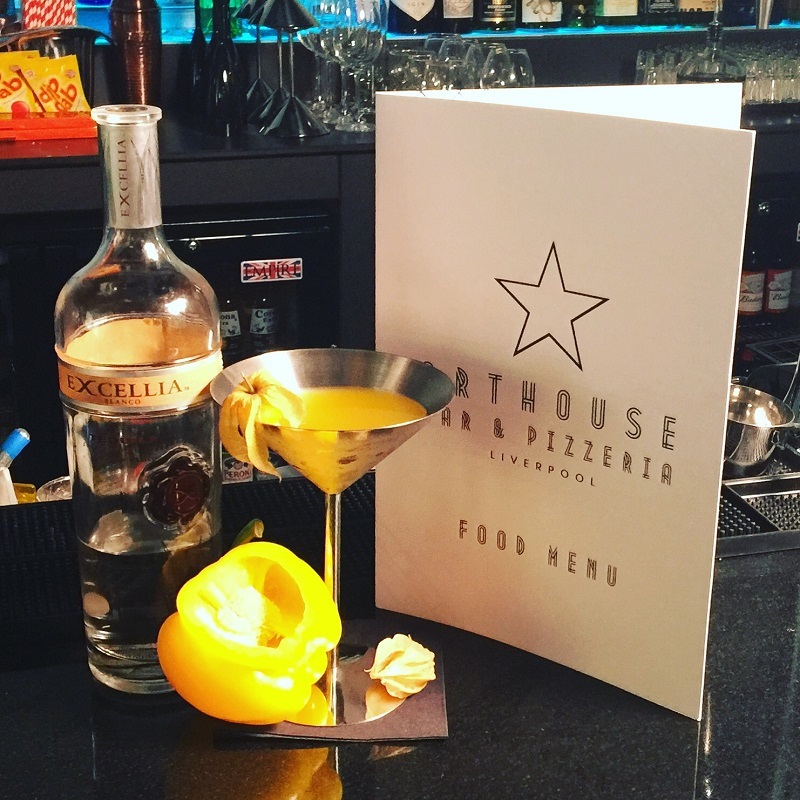 To help you make the most of your bank holiday weekend in Liverpool at Arthouse Bar and Pizzeria we have a spectacular booth offer for just £99. 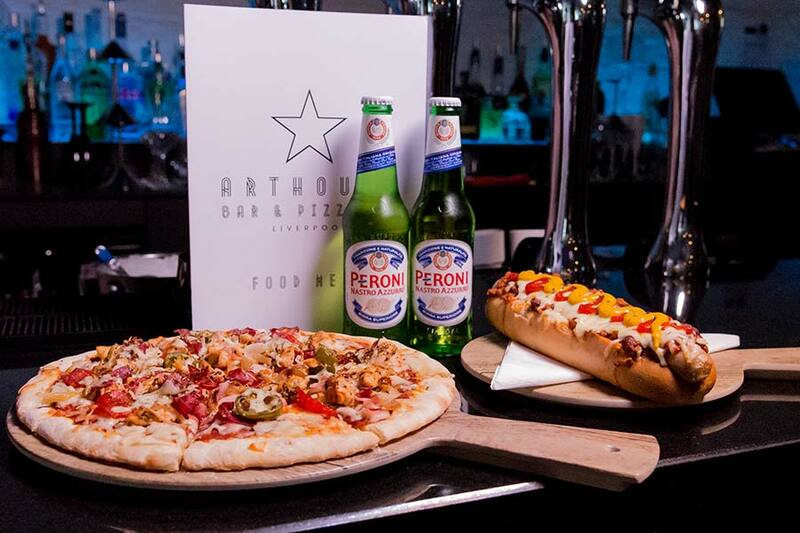 To book this amazing Arthouse Bar and Pizzeria booth offer you must call and speak to Jack on 07792109394. If you are staying with Arthouse Hotel this weekend you are in luck as these amazing evenings are literally on your doorstep. 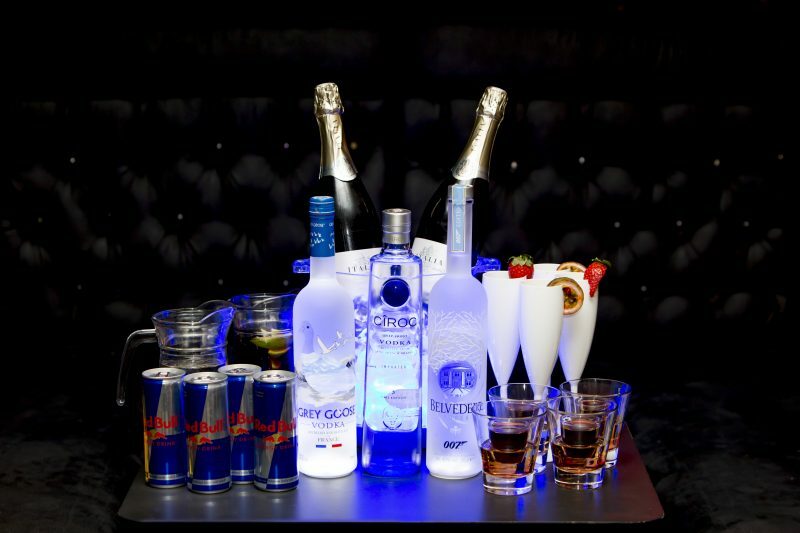 After enjoying any of these smashing events you and your party can head off onto Seel Street for the night and party on in one of the amazing bars or clubs. Better still take the party up to your movie themed hotel room and enjoy the amazing facilities. These include double jacuzzi baths, large flat screen TV’s and Bluetooth multimedia sound systems to keep the music coming all night long. 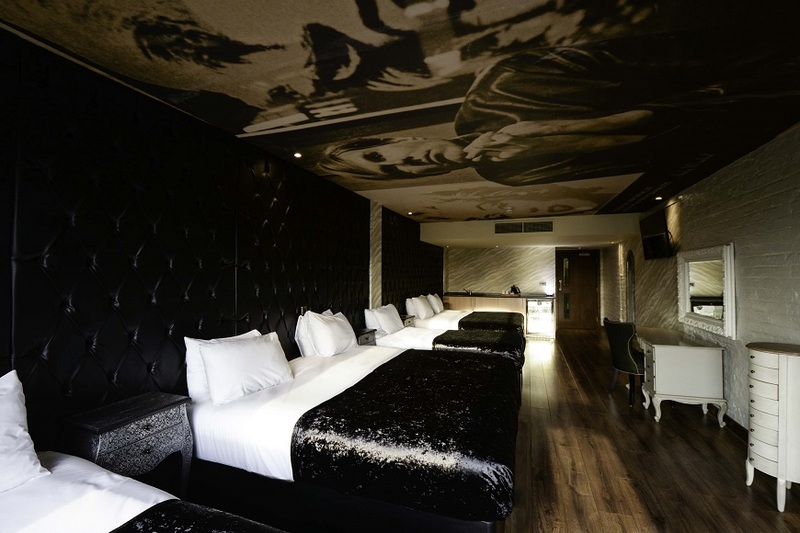 Call and book your stay at Arthouse Hotel on 0151 601 8801 or email info@signatureliving.co.uk for more information. We can wait to see you all this weekend.